Most measures are wrong and inappropriately labelled and are described so aptly by William Shakespeare′s line, "Full of sound and fury signifying nothing." 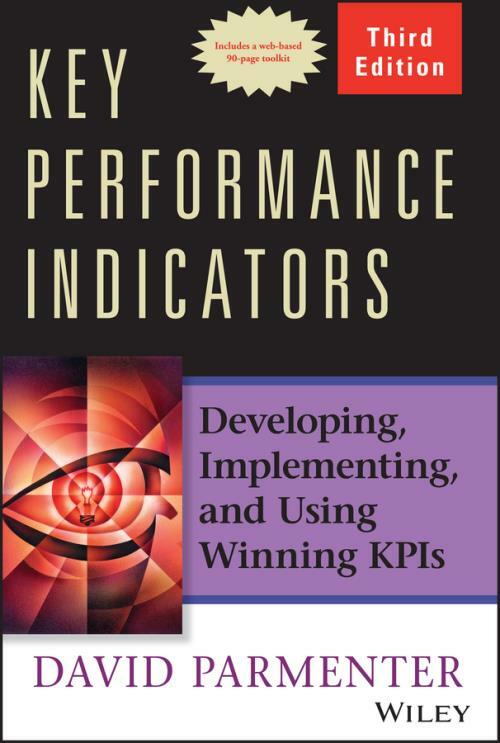 This book helps organizations develop, implement, and use key performance indicators (KPIs) the performance measures that make a profound difference. "We have worked with David Parmenter′s methodology since 2013. The ′winning KPIs′ methodology works extremely well alongside the implementation of ′lean′ in our business. I wholeheartedly recommend this book and methodology to those who have been tasked with developing KPIs that can change behaviors and deliver a broad range of improved business results." "David′s methods for the development and implementation of KPIs is straightforward, clear, and above all else, practical. Anyone interested in implementing KPIs for the first time in his or her organization will find this book an invaluable resource." SUZANNE TUCKER, CEO, The CFO Edge, Inc.
"David′s KPI methodology is easy to understand and share, and facilitates the identification and implementation of KPIs in any business. His approach drives improvement in operational performance." "The KPI methodology clicked with me immediately and I used it at my previous employer, Stanley Black & Decker. Once our critical success factors were analyzed, interpreted, and measured, the project took off, leaving a lasting legacy." ANDREW BRAZIER, Head Coach, Bu$i–Coach Inc.